A soft and delicate plum shade, that's subtle not shouty so perfect to day long wear. 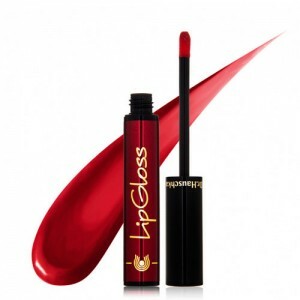 Top with a juicy gloss to take it into the evening. Intensely moisturising this gorgeous new Dr Hauschka lipstick feels like wearing lip balm. 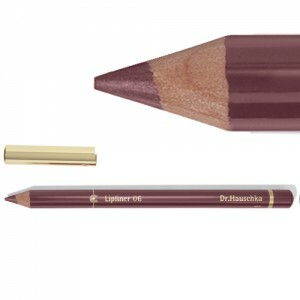 Team with Dr Hauschka Lip liner to give longer lasting colour and definition. Lip liner 06 Aubergine complements this shade perfectly. A wide palette of lipsticks means there's a shade for every mood. Rose hip, Almond oil, Jojoba oil, Rose wax, Beeswax, Shea butter, Rose blossom, and Anthyllis nurture and protect the lips keeping them soft and supple. The lipsticks are richly moisturising and glide on effortlessly, each one can be built to your preferred colour intensity for all day long wear. "Ricinus Communis (Castor) Seed Oil, Simmondsia Chinensis (Jojoba) Seed Oil, Rosa Canina Fruit Extract, Lanolin, Beeswax/Cera Flava, Daucus Carota Sativa (Carrot) Root Extract, Euphorbia Cerifera (Candelilla) Wax, Copernicia Cerifera (Carnauba) Wax, Rosa Damascena Extract, Anthyllis Vulneraria Extract, Prunus Amygdalus Dulcis (Sweet Almond) Oil, Prunus Armeniaca (Apricot) Kernel Oil, Hydrogenated Jojoba Oil, Rosa Damascena Flower Wax, Fragrance/Parfum, Linalool, Benzyl Benzoate, Farnesol, Limonene, Geraniol, Benzyl Salicylate, Eugenol, Lecithin, Silica, +/-, Mica, Carmine/CI 75470, Iron Oxide/CI 77491, Iron Oxide/CI 77492, Iron Oxide/CI 77499, Titanium Dioxide/CI 77891 "
As with all lipsticks it's best to line your lips first and then apply with a brush to get the most long lasting effect. It's fine to just slick on quickly too, and this can be ideal if you just want the sheer look that these new lipsticks are so wonderful at providing. Top with your favourite gloss for extra shine.